David Sanger, David Barboza, and Nicole Perlroth at the New York Times are out with a huge report tonight on Chinese cyber-attacks on US companies. The Times got their hands on an advanced copy of report by Mandiant, a cybersecurity firm the newspaper had previously hired when it got hacked. The details we have analysed during hundreds of investigations convince us that the groups conducting these activities are based primarily in China and that the Chinese Government is aware of them. Our analysis has led us to conclude that APT1 [Advanced Persistent Threat] is likely government-sponsored and one of the most persistent of China’s cyber threat actors. Obama administration officials say they are planning to tell China’s new leaders in coming weeks that the volume and sophistication of the attacks have become so intense that they threaten the fundamental relationship between Washington and Beijing. 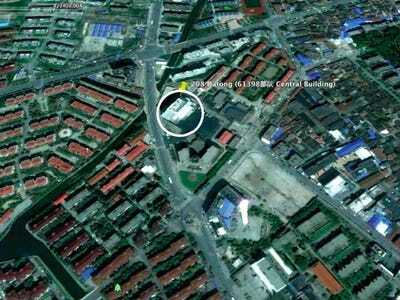 What’s amazing is how clearly the location of the attackers can be pinpointed to a building of the People’s Liberation Army. The article cites a report from cyber-security firm Mandiant (which can be downloaded here) which cites the existence of a building housing PLA Unit 61398. The building off Datong Road, surrounded by restaurants, massage parlors and a wine importer, is the headquarters of P.L.A. Unit 61398. A growing body of digital forensic evidence — confirmed by American intelligence officials who say they have tapped into the activity of the army unit for years — leaves little doubt that an overwhelming percentage of the attacks on American corporations, organisations and government agencies originate in and around the white tower. From the report, here’s a satellite shot of the building.